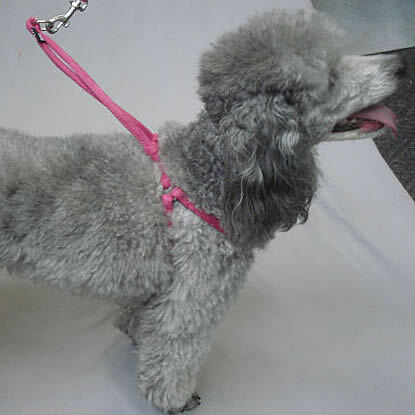 The soft Rolled Microfiber Step-in Harness & Leash Set is a great all-in-one harness and leash solution for your small dog, with no clasps and instant adjustment. 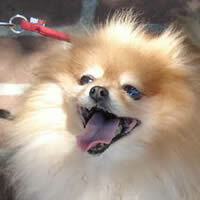 It also minimizes matting on little dogs with lots of fur. 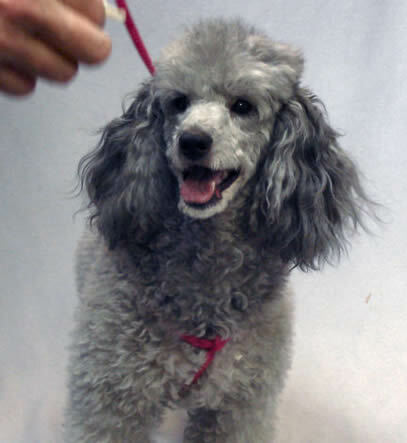 Scroll down for a video demonstrating how easy the Rolled Microfiber Step-in Harness is to put on your dog! 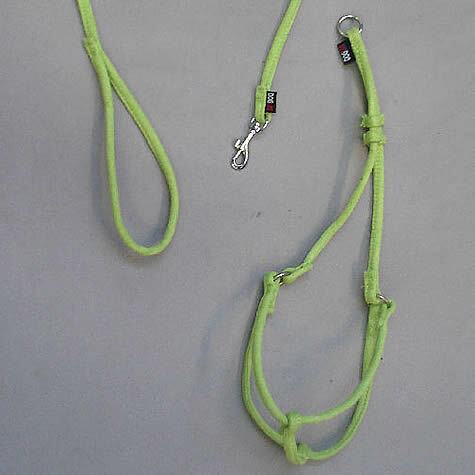 The Rolled Microfiber Step-in Harness and Leash Set is the all-in-one harness solution for your small dog. Easy to put on, the harness adjusts instantly, conforming to your little dog's shape. And there are no pinch clasps to open or close. 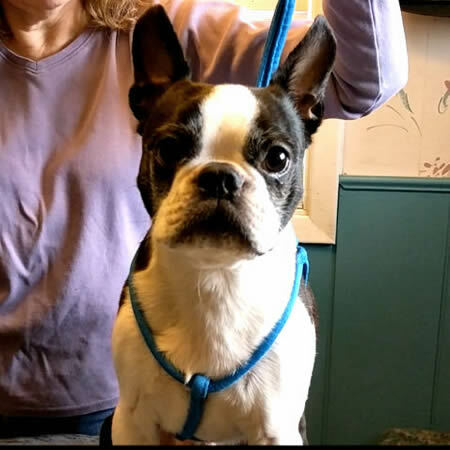 Scroll down for a short video demonstrating how easy the Rolled Microfiber Step-in Harness is to put on your little dog, or click here. The Rolled Microfiber is as soft as velvet, so it's comfortable for your little dog. 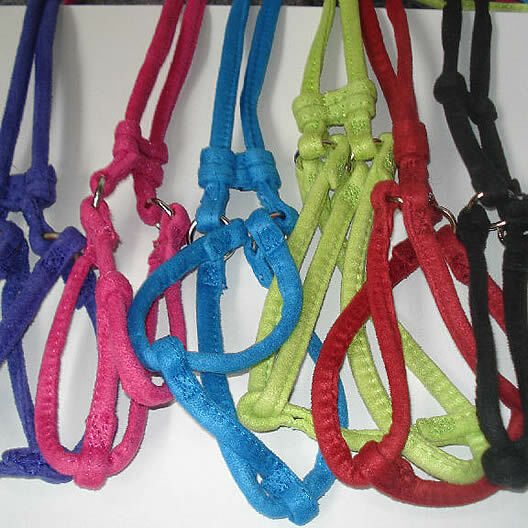 The straps glide over your little dog's fur, minimizing matting. 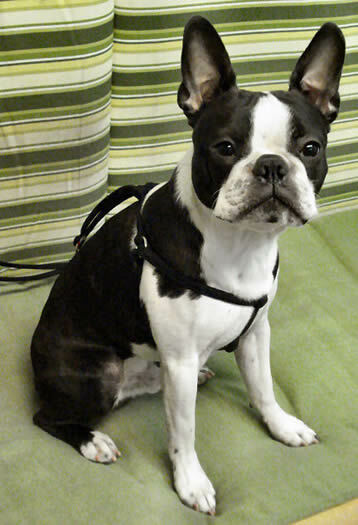 The harness sits low on your little dog's chest, so there is no choking risk. This harness does not have clasps - adjust on the fly! 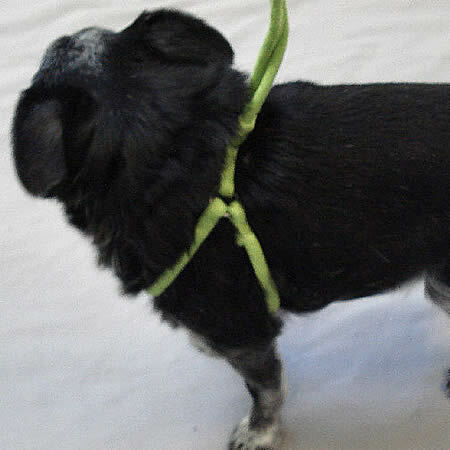 You'll put your pup's front legs through the openings, bring the straps over his head and slide the adjuster down. (Scroll down for a demonstration video.) 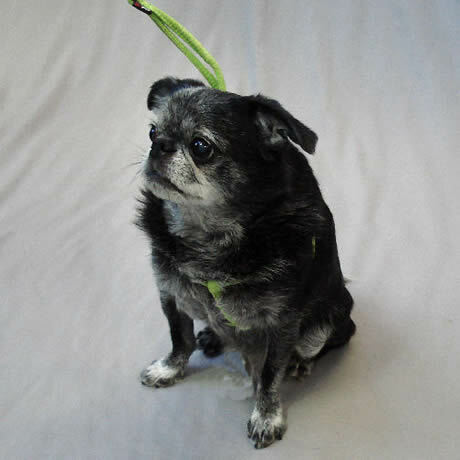 The harness is a custom fit for your small dog every time you put it on. When you put it over a sweater or coat if it's cold out, the harness will still fit perfectly. The slide adjusters stay put, so you won't have to worry about the harness loosening on your walk. 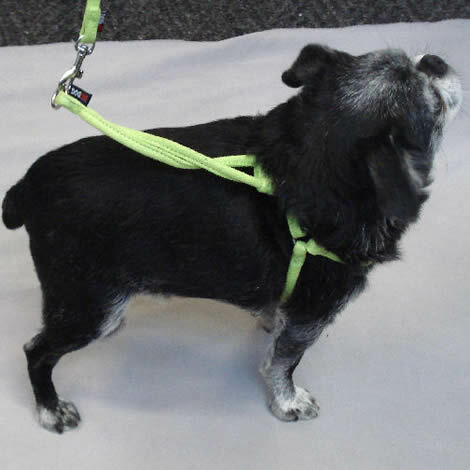 If you have arthritis or other dexterity issues in your hands, the Rolled Microfiber Step-in Harness & Leash Set is the perfect harness solution for your small dog. No pesky plastic pinch clasps! 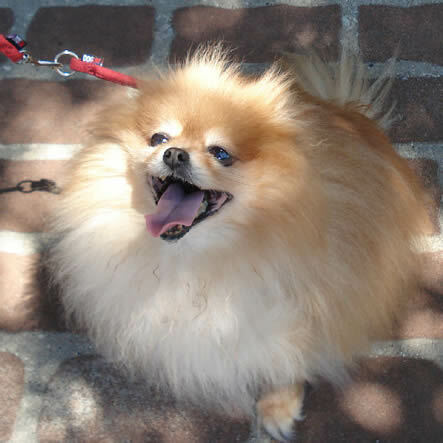 To the right is Kitty - a 9-year-old Pomeranian with lots of fur! You can't see it, but Kitty is wearing the Red Rolled Microfiber Step-in Harness - only the matching Leash is visible. The Rolled Microfiber Step-in Harness reduces matting. 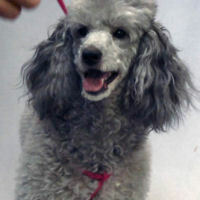 Now Kitty's owner can take her on walks and not worry about matting the fur or Kitty's breathing! 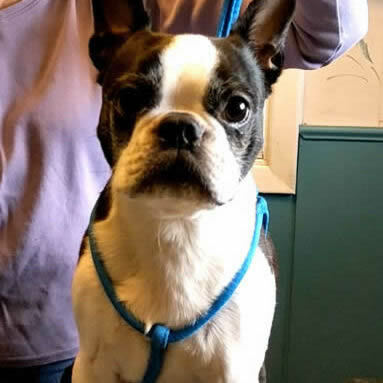 The harness fits your small dog low on the chest. The neck is not involved, so there's no risk of choking. 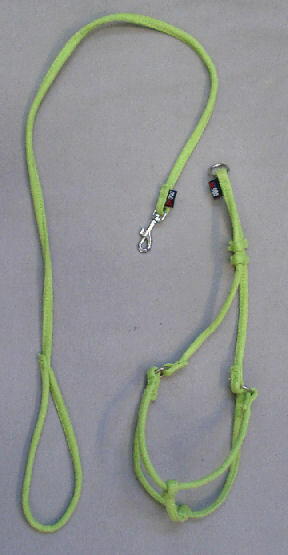 This harness is barely there - your pup will be safe and cool when it gets hot outside! Soft but strong microfiber is washable! 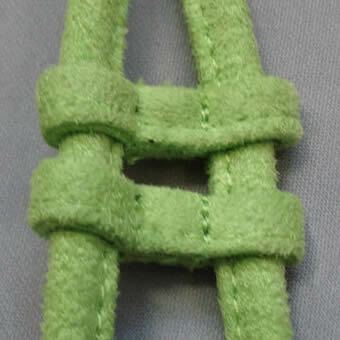 The microfiber is rolled over nylon cording, making the straps strong as well as soft. Machine washable. 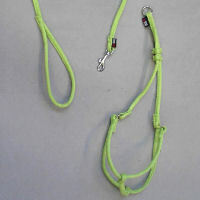 The matching swivel leash is 3 feet long and attaches to the harness' leash extension with a toggle clasp. 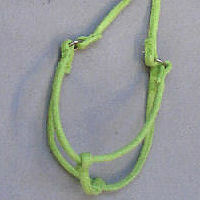 The harness' leash extension is about 10 inches from the o-rings at the sides. The leash ends up about 4 feet long. 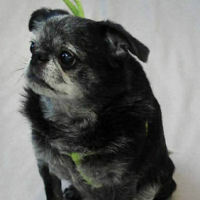 Roc, Brussels Griffon, at about 11 pounds, wears the size Small. 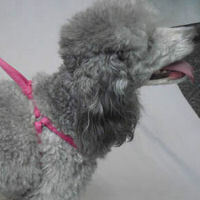 Lexi, the Miniature Poodle, wears the Pink size Medium. 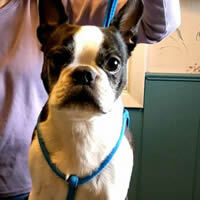 And Booker, Boston Terrier, wears the Black Rolled Microfiber Step-in Harness & Leash Set in Size Small. Booker, a little older and more filled out, also wears the harness in Blue, size Medium, in the video and one of the pictures above. Choose Black, Blue, Green, Pink, Purple or Red. 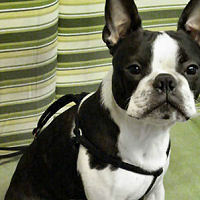 Here's a short video of Fran putting the Rolled Microfiber Step-in Harness & Leash Set on Booker, her Boston Terrier. "Dog seems to mind this harness less than others I've tried."